Location: Thuita-Matira Village, Kamacharia Location, Murang’a. On February 3rd, 2018 our beloved Mother, Sister, Grandmother and Maitu was promoted to glory after short illness. We truly thank God for the many wonderful years that he granted to her, as she has left a rich legacy and many blessings. 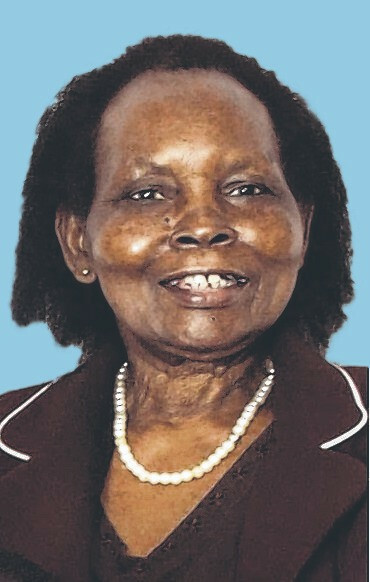 She is survived by her Daughters, Margaret Gakenia, married to Dr. Theo Nkwopara, Milka Nyambura married to Wachira Wanjohi, Damaris Wambui, Son Peter Kairu, married to Jane Kairu; Siblings, Esther Wanja Mbichire, Thairu Muthiga and Charity Gachugu WaNgai; ‘Cucu’ of David Maina married to Esther Maina, Ann Munene married to Isaac Munene, Josephine Wangari, LeRoy Mwangi, Evangelyn Nkwopara, Samuel Nkwopara and Solomon Kairu, Wanjohi Wachira, Tony Chege, Nyokabi Chege, Wairimu Chege, Liz Chege and Solomon Chege; “Maitu’ of Wangai Maina, Wambui Munene, Matthew Maina, Mwangi Munene, Colin Dixon and Ariya LoFranco. She was preceded in death by her Parents Peter Muthiga and Mary Wanjira Muthiga; Brothers, Kunyiha Muthiga, Gichina Muthiga, Ben Mukiha Muthiga and Granddaughter, Pauline Mungai. A Funeral Service was held on February 16th, 2018 and buried at Patterson Cemetry District, California, USA. A Memorial Service will be held on Thursday April 26th, 2018 at 11:00am at her family home in Thuita-Matira Village, Kamacharia Location, Murang’a. Mathew 5:8 “Blessed are the pure in heart, for they will see God.